Thru 5/11 Earn 3X the Fuel AdvantEdge savings on JCPenney, Micheal's, Gap, Lowe's & Kohl's Gift Cards! FREE Kraft Mac & Cheese w/ ecoupon - thru 5/4! Deal: buy 10 Easy Mac Cups, use (4) $0.50/2 + FREE saving star ecoupon = $5 for Whole Rotisserie Chicken + 10 Kraft Mac Cups! PC Boneless Chicken Breasts or Boneless Skinless Thighs savings pack - $1.99 lb. Boneless Country Style Pork Ribs savings pack - $2.99 lb. Red King Crab Clusters - $9.99 lb. Anjou Pears - $1.69 lb. PC Honey Turkey Breast or Swiss Cheese - $6.99 lb. PC Off-The-Bone-Ham - $6.99 lb. LOL American Cheese - $6.99 lb. Nikos Feta Cheese - $5.99 lb. Cabot Cheddar Bars - $6.99 lb. D&W Gourmet or Buffalo Chicken Breasts - $7.99 lb. D&W Muenster or Provolone Cheese - $6.99 lb. Cavatappi Macaroni Salad - $2.99 lb. Wednesday only: PC Cooked Roast Beef - $5.99 lb. Friday & Sat.only: Cole Slaw - $2.99 lb. OR buy 2, use $2.50/2 manu ecoupon = $1.04 each! Hi Erin! I was just able to print the $2 Glad coupon...must be it reset?! The breakfast burritos, on sale you had .12 each I ended up paying .38 each. The cashier said because one is free it did not count as a SALE purchase. Is this correct or should I talk with manager??? Did he/she only enter the coupon as $0.50 off and not $1/2? Price Chopper accepts $1/2 coupons on B1G1 sales so they should have been $0.12 each. I would go to customer service w/ receipt for a $0.50 refund if that's the a case, just make sure you bought the correct brand and they rang B1G1 at $1.25. Thanks went back got my $2.00 the checker even found me and said sorry. I then got 8 more burritos. I was able to print coupon 8 times before it said I had printed offer. So very happy. 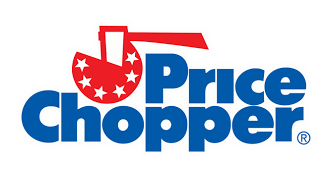 Are you able to use the market bistro coupons at a regular price chopper?